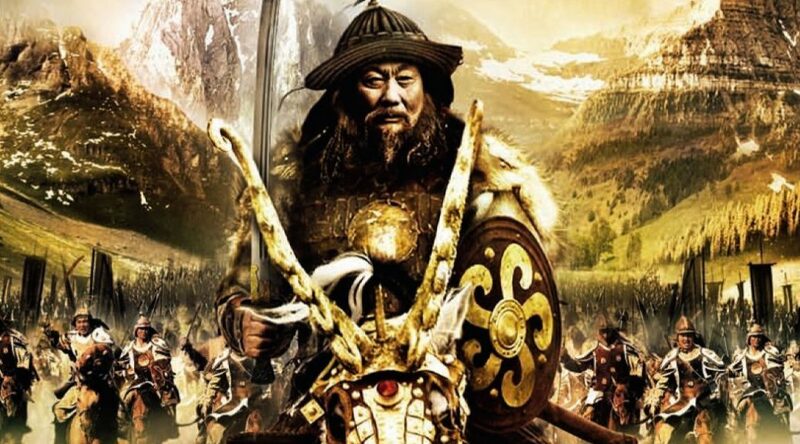 A little known fact is that Chinggis Khaan, better known as Genghis Khan, would collect orphans from his bloody battlefields and have his own mother raise them. These adopted brothers grew up to become his most loyal officials and advisers. Khaan organised his Mongol soldiers into groups according to the decimal system. Soldiers were arranged in units of 10 ("aravt"), 100 ("zuut"), 1,000 ("minghan") and 10,000 ("tumen"). Each unit had an appointed leader reporting to a larger unit. A 10-person "aravt" unit is ordered by Khaan to locate a skilled doctor who lives in a forest. En route, they discover an abandoned baby. He is in fact the child of an enemy warrior who gives pursuit, even though they have saved the child's life. Whilst protecting the child from attacks from enemy soldiers, the members of the "aravt" must also complete their mission. Through their actions, they demonstrate the benevolence and bravery of Mongol warriors as the final battle closes in.